Get outstanding image accuracy, exceptional adjustability, and mission-critical reliability optimized for commercial environments. Built with IPS Gen 2 panels, the HP Z22i 21.5-inch IPS Display delivers power savings over first-generation IPS technology and extra-wide viewing angles that foster collaboration. Say hello to your new power-smart IPS Gen 2 team player. Lower your power consumption and get 97% coverage of sRGB color spaces from IPS Gen 2 panels. Speed team reviews and collaborative decision-making with extra-wide viewing angles that give everyone the same great view. View all the stunning details on a narrow-bezel 21.5-inch diagonal display with 1920 x 1080 Full HD resolution. Experience crisp, clear presentation from 250 cd/m2 brightness, 1000:1 contrast ratio, 5M:1 dynamic contrast ratio, and 8 ms response time.. Enhance the dark regions of your onscreen images and see the smallest details even better with integrated Black Stretch technology. Get comfortable with a TCO Certified Edge monitor. Find your most comfortable position with an exclusive HP 4-way adjustable stand that meets the TCO Certified Edge designation for innovative products at the forefront of environmental and ergonomic stand design. Easy-access connectivity within arm’s reach. Reduce power consumption and help lower your costs with an intelligent, energy-efficient design that goes beyond IPS Gen 2 technology with ENERGY STAR® and EPEAT® Gold qualifications.. 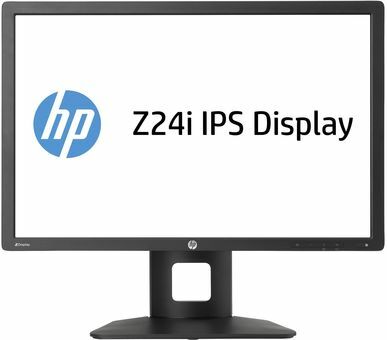 The HP Z22i 21.5-inch IPS Display also includes mercury-free display backlights, a low halogen design, and arsenic-free display glass. Customize your workspace with resizable screen partitions. Work in documents, spreadsheets, and email in separate regions of the screen—at the same time—with HP Display Assistant software. View open applications on all of your connected displays with the expanded toolbar. Help deter theft with a user-designated PIN that deactivates the monitor if it’s disconnected from a PC without approval. Comparison is to IPS Gen 1 panels. High-definition (HD) content required to view HD images. EPEAT® Gold where HP registers commercial display products. See www.epeat.net for registration status in your country.